SANTA ROSA, Calif.,—Last January, the Sonoma County Winegrowers announced its groundbreaking commitment to become the nation’s first 100% sustainable wine region within five years. The group of predominantly family-owned wine grape farmers is well on its way to meeting its 2019 goal and is now taking the next step to inform and educate wine consumers on the eco-friendly benefits of buying a Sonoma County wine with what is believed to be the first national advertising campaign specifically focused on sustainable winegrowing practices. Rather than take a typical wine advertising approach profiling local farmers and their families or picturesque vineyards, Sonoma County’s leading wine industry stakeholders, including grape growers, vintners, Master Sommeliers and others came together to develop an advertising campaign that would communicate directly to wine consumers with a tutorial on sustainability. The first ad in the campaign series, called 138, focuses on vine balance using content taken directly from the California Code of Sustainable Winegrowing and will appear in the November issues of Food & Wine, Wine Spectator and Wine Enthusiast. Sonoma County has some of the world’s most prized grape growing areas in the world with the first vineyards dating back to the 1820s. The region’s unique combination of geological history and consistent fog patterns generated by its 60-mile Pacific Ocean coastline, and topography has given rise to 16 unique American Viticultural Areas (AVA). Each AVA offers distinct climate, soils and temperature areas perfect for growing world-class Pinot Noir, Chardonnay, Cabernet Sauvignon, Zinfandel and more. Sonoma County is also home to around 500 wineries whose wines are renowned throughout the world. The sustainability advertising concept and creative strategy was developed by The IDEA Cooperative out of Marin County, CA. 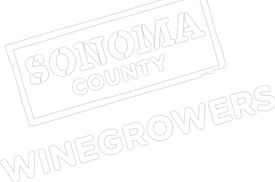 For additional information, please visit us at www.sonomawinegrape.org, like us on Facebook or follow us on Twitter @sonomagrapes.